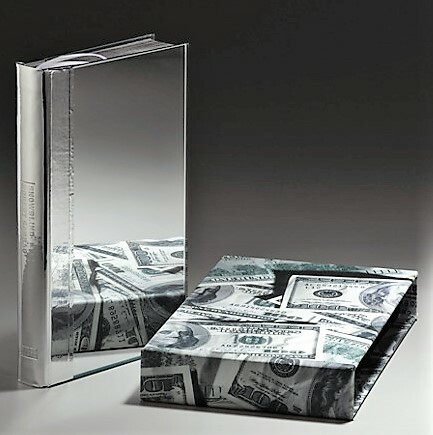 When the British artist Damien Hirst began planning a work of art “with a story running through it” (think artists’ book), his first stop was the United States Treasury. One thousand $100 bills were obtained so the final three digits would correspond to the edition numbers: 000 to 999. Each bill was rolled and hidden inside Robert Sabbag’s 1976 cult classic Snowblind, a story about the cocaine trade at that time. 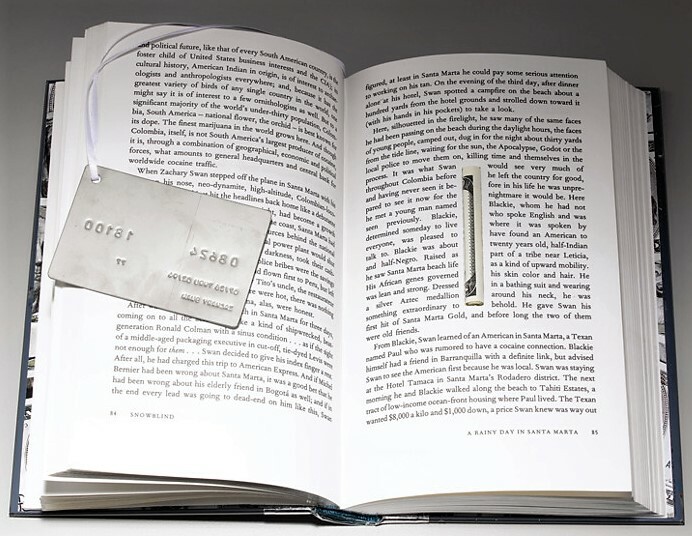 Hirst bound the books in mirrored boards and added an American Express credit card bookmark. The card is a facsimile, the bill is real. How many other books come with money? How many libraries leave the money in place? 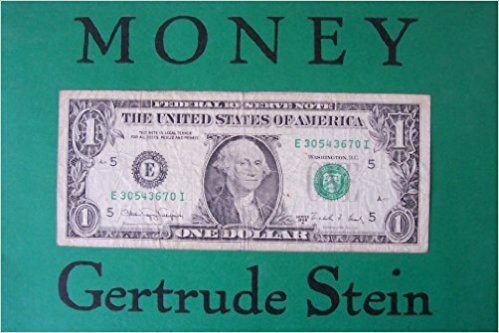 The Graphic Arts Collection recently acquired Gertrude Stein’s Money (Los Angeles: Black Sparrow Press, 1973), which comes with a real dollar bill on the cover [above]. The boxed zine North Drive Press #3 (2006) co-edited by Sara Greenberger and Matt Keegan came soon after this, with a dollar bill among the 37 contributions [below]. Can you think of other books with money? Please send your suggestions to jmellby@princeton.edu. 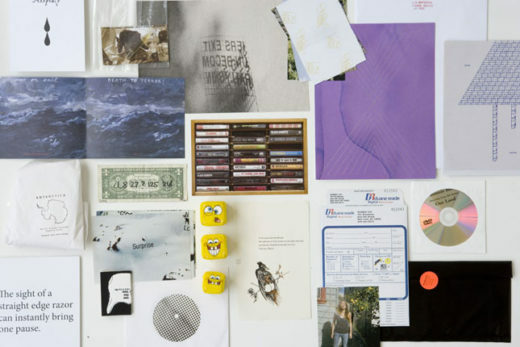 This entry was posted in Acquisitions, Artists' books on May 10, 2018 by Julie Mellby.